Skype is jam-packed with great features to help you stay in touch with friends, family and co-workers, share your thoughts and find the information you need. You can use it on a computer or get Skype on your mobile so you can keep in touch on the move, whatever you’re up to. Skype works on a wide range of mobiles, plus on devices like the PlayStation Portable (PSP). There’s also a great range of WiFi and cordless phones with Skype built-in. Just for starters you can instant message with anyone on your contact list or even use group chat to chat with up to a hundred people. You could hold a conference call with up to nine other people to organise a get-together and then use SkypeFind to search for the perfect venue to hold it. There are also really cool video features. 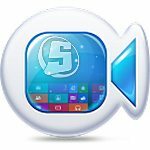 All you need is a webcam to make free video calls or even take photos of yourself to personalise Skype. If you use Microsoft Outlook, Outlook Express, GMail, Hotmail or your mail account with Yahoo! then it’s a simple task to import contacts and get them all onto your Skype. If they don’t have Skype yet you can send them invite to download it – then you can talk for free (and maybe you’ll even get a nice bouquet of flowers and a chocolate bar from them to say thanks for getting them onto Skype? We’d like to think that’s in order). Got friends on MySpace? Get them to download Skype or MySpace’s version of Skype. Then add them to your Skype contact list and you’ve got even more people to talk to for free. Simply search for them in Skype and click the MySpaceIM tab in the search results. Adding someone to your contact list is easy. But you can also add people who are not yet on Skype and call them on their phones and mobiles at pretty cheap rates wherever they are. Also, if your Microsoft Outlook contacts have phone numbers, you can have them show up on your contact list so you can call them. You’ll need Skype Credit or a monthly subscription to make calls to phones and mobiles. The business version of Skype has the same features as the standard version; however, it also includes Windows Installer (commonly known as MSI) which makes it easy to install Skype across your company. Use Skype to give your friends a call and voice chat with them at the highest quality on the market. - Works with all firewall, NAT and routers ? nothing to configure! - Internet connection (broadband is best, GPRS is not supported for voice calls, and results may vary on a satellite connection). - Speakers and microphone - built-in or separate. - A webcam, if you want to make video calls. - We also recommend that you have at least 400 MHz processor, 128 MB RAM and 15 MB free disk space on your hard drive. 2. Enter the site builder and create an account. And run it using the software.